Story and artwrok by myself. 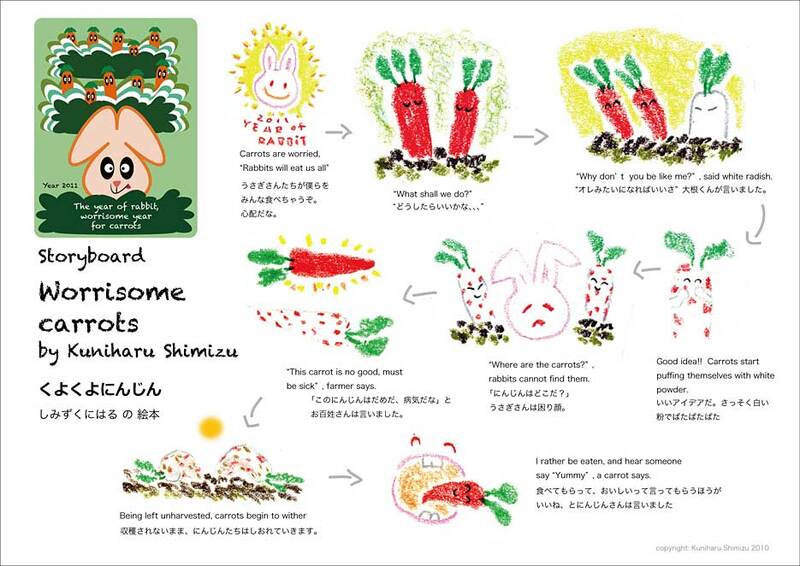 I made the illustration of rabbit and carrots many years ago. I added haiku to it and made a haiga. Then a story came to my mind so I made this picture book story. 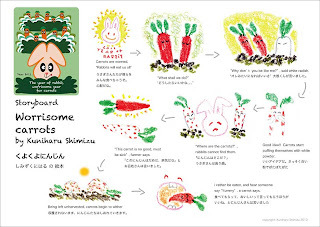 These two picture books are for my little grandchildren in Tokyo and at home.